← VeryPDF PDF Toolkit Modules, PDF Components and PDF Tools, Convert, Combine, Extract, Encrypt, Decrypt, Protect, Watermark, Stamp, Compress, Optimize, Edit and more. PDF Shaper (PDF Editor) is a free PDF software, which allows you to merge, split, encrypt and decrypt PDFs, extract text and images, convert Word to PDF. Free download. PDF Shaper (PDF Editor) is a powerful and great PDF software, which offers a collection of PDF tools and utilities to modify and optimize your PDF documents and its content. The program offers super-intuitive user interface with changeable themes and the one of the fastest and stable PDF processing algorithms with ability to process multiple files at once. PDF Shaper is an effective and hassle-free way to organize and prepare your PDF documents for printing or sending by email. With PDF Shaper (PDF Editor) you can easily split and merge any PDF documents, extract text and graphics from PDF files, encrypt / decrypt document with password and change users permissions, convert images to PDF or PDF to images, convert Word DOC/DOCX to PDF, view and print PDF documents. The program offers super-intuitive user interface with changeable themes and the one of the fastest and stable PDF processing algorithms with ability to process multiple files at once. Plus support of latest OS - Windows 10, as well as any version starting from Windows XP, both 32 and 64 bits. 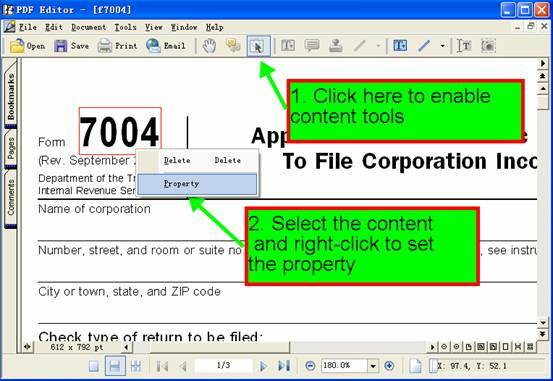 Extract text and graphics from PDF documents, remove images or add watermarks, convert Word DOC/DOCX files to PDF or PDF to JPEG images. This entry was posted in Advanced PDF Tools, PDF Editor and tagged pdf editor. Bookmark the permalink.